Having campaigned for months about introducing a smoking ban on the beaches of Nice, Mayor of Nice, Christian Estrosi, signed a lack-lustre contract promising to ban smoking on one of the 20 beaches in Nice. The Centenaire beach, a central beach off the Promenade des Anglais, which already acts as the city’s wheel-chair friendly beach, is to be labeled plage sans tabac for this summer’s holiday season. 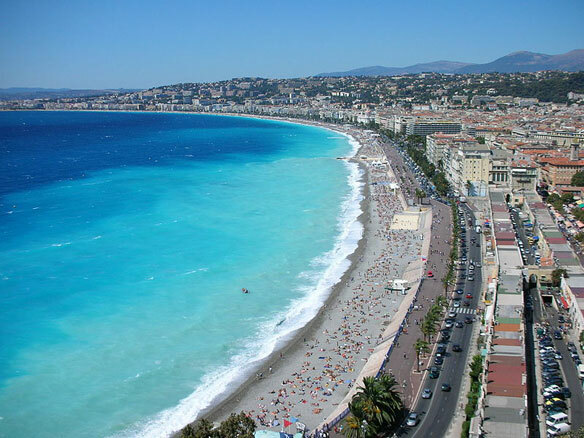 Nice has become the first French seaside resort to introduce a “tobacco-free” beach. La première plage labellisée sans tabac va voir le jour. Il s’agit de l’une des plus prestigieuses du sud du pays: la plage du Centenaire qui fait face au cœur historique de Nice.